Surgical hair transplant is the best option for those who do not wish merely to conceal the aesthetic effects of alopecia, but rather to stimulate natural hair regrowth and hair regeneration. 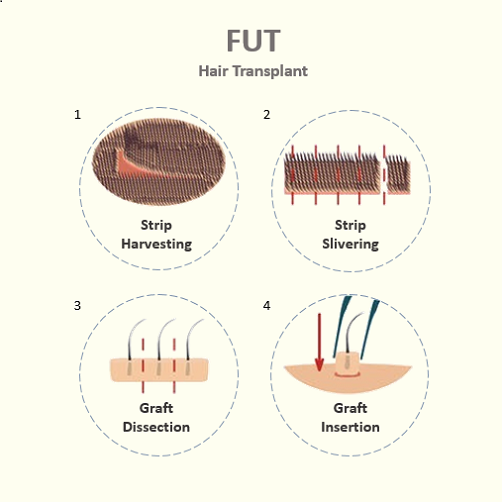 Our experienced hair specialists recommend either follicular unit transplantation, also referred to as FUT hair transplant, or follicular unit extraction, known as FUE hair transplant, as the optimal solutions for hair loss. Both procedures involve harvesting follicular units, which are naturally occurring groups of 1 to 4 strands of hair, and transplanting them to an area of the scalp that presents hair loss or hair thinning. The follicular units can be removed from the donor area either individually, in the case of FUE hair surgery, or by strip-harvesting, in the case of FUT hair surgery. The hair specialists of Hair Experts Clinic wish to underline the fact that the experience of the staff performing the procedure, as well as the quality of the tools used in the process, are essential factors in any hair transplant operation, especially when it comes to the follicular unit transection rate.We advise that you carefully research the clinic you wish to attend before deciding to undergo the procedure. Make sure the clinic has consistently produced positive medical and aesthetic results and that the surgeon and the medical staff that is assigned to you has considerable experience in performing such procedures.If you choose to place your trust in Hair Experts Clinic, we can offer you excellent medical expertise, access to the latest hair regrowth technology and great post-operatory care. To benefit from the services we are able to provide you, simply schedule an appointment by contacting the Hair Experts Clinic. Follicular Unit Extraction in this method of Hair Transplant. We extract individual Follicles Instead of cutting the strip. Follicular unit extraction (F.U.E) also known as follicular transfer is a primary method of acquires follicular units. The other primary method is called strip harvesting. In F.U.E harvesting, individual follicular units are extracted directly from hair restoration patient’s donor area. While in strip harvesting, a single strip of skin is removed from the patient and then break down into many individual follicular units. FUE is a method of hair transplant. 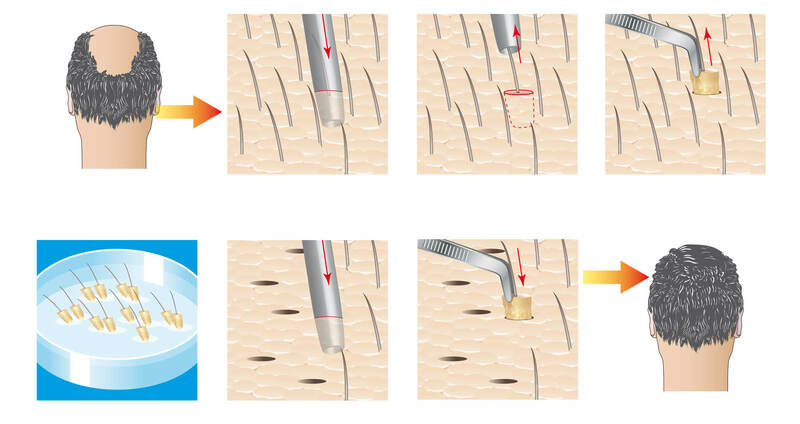 In FUE hair transplant, we extract individual follicles instead of cutting the strip. 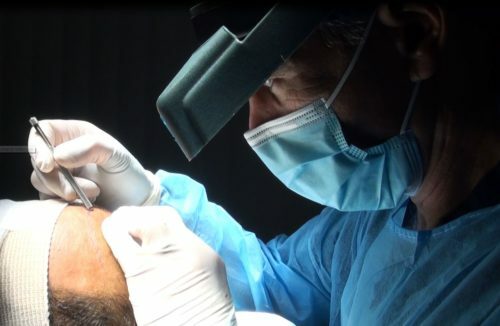 FUE hair transplant is a technique of extracting donor hair in a follicular unit. FUE hair transplant includes a tool that is used to cut a little, spherical part in the skin in the region of follicular unit, splitting it from the closest tissue. The donor would repair in seven to ten days leaving small white scratch hidden in the hair scalp. Recently FUE hair transplant technology has grown into advanced FUE hair transplant. The main difference is that advanced FUE hair transplant enables the creation of larger donor pools by harvesting follicles from areas outside the head such as, chest, arms, abdomen and face. Whereas with the conventional FUE, there is the assumption that this growth occurs with the straight line, while involves a risk of damaging the follicles during the process. FUE should be used for the hair transplantation because this method of donor harvesting, removing follicular units one by one directly from the scalp, this is what differentiates FUE procedure than the traditional follicular unit transplant (FUT). FUE transplantation helps in regaining hairs in any part of the body such as, moustaches, beard or eyelashes. 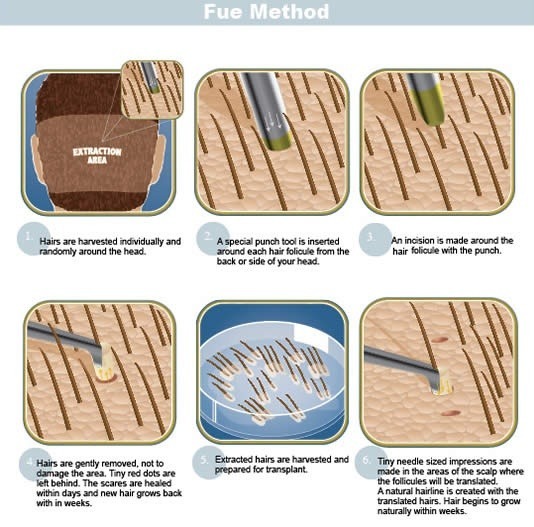 FUE can help transplanting hairs in any part of the body. 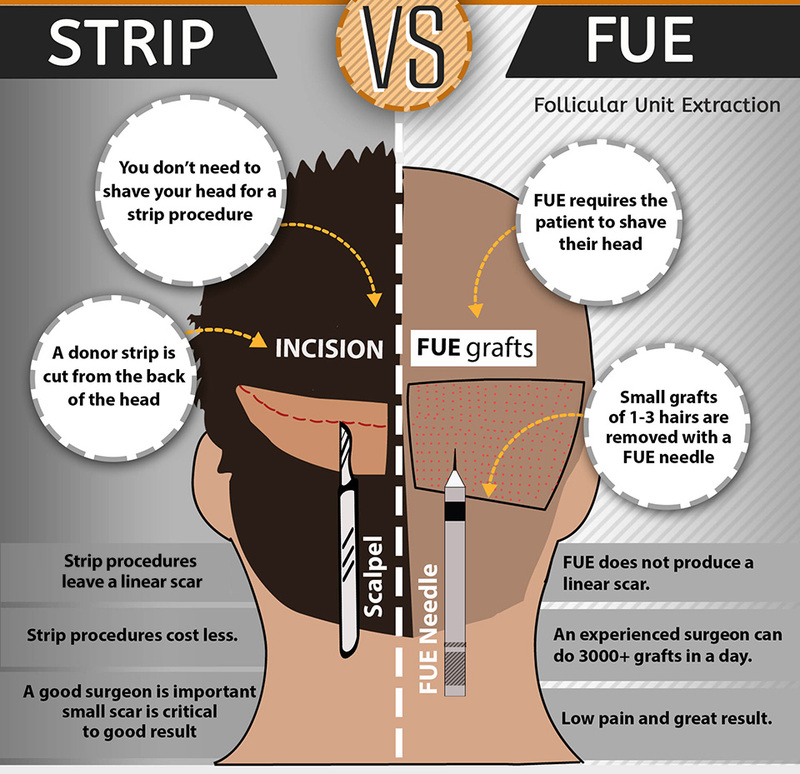 FUE is the most advanced method of hair transplantation in which individual graft is taken out from the donor area with the help of special Follicular Unit Extractor. Using FUE transplantation, hair can be transplanted without any pain, puff up and blood loss, this is the finest thing that differentiates FUE from other hair transplantations. In this method of Hair Transplant no cutting or stitches or pain is there. So no strip is taken, scar is avoided; rapid healing and excellent result are seen. There are no side effects of FUE transplant because it does not include stitches and cuts. The transplantation is done by the strip method so it does not harm the patient. The patients are supposed to be shampooed the very next day of the hair transplantation which prevents patients from the microorganisms or any other harm. Follicular unit transplantation (F.U.T) is a technique used for the restoration of hairs. This is a technique used for refurbish the hairs for the long term purposes. Follicular Unit Transplant is commonly known as “strip method”. The process of this method includes a strip that is extracted from the back side of the head which is considered as the donor area. F.U.T is unlike the conventional methods of hair transplantation which usually gives the deviant and strange look; rather it satisfies the patient with a life time natural look. After the proper procedure of F.U.T has been applied, the results will impersonate the way hair grows in a natural way and conceal the hair transplantation procedure. The fundamental nature of F.U.T is that the hairs is transplanted into the balding area of the head, naturally occurring in form of groups includes 1-4 hairs in each group. This will help the hairs look natural and does not reveal the hair transplantation. surgery-step1surgery-step2In F.U.T, the hair is removed in a single, slight strip and then divides into individual follicular units using microscopes. F.U.T is done by putting two cuts in upper two layers of skin in central part of the head which is about 20-25 cm’s long. Stitches are applied to the area where cuts were given. The strip is then divided into grafts. Ultimately the strips are transplanted. Hair starts growing gradually on the bald areas of the head.